With SAP Business One on you get big company performance at a small company price. Register today and learn how SAP Business One has the functionality to help transform your business by leveraging data to maximize efficiency, reach new customers and drive profitable growth. Register now to select a date that works for you. "Choosing SAP Business One made a lot of sense for our path of growth. 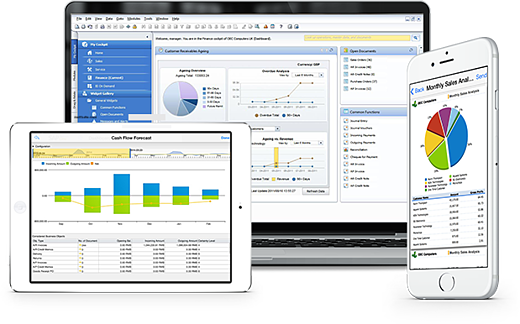 We now use it to manage the entire business; from financials, inventory management to project management."